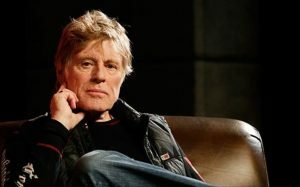 Hollywood actor Robert Redford speaks in support of the fight against the Dakota Access pipeline in an article he wrote on Time Magazine online. “Thousands of people are actually going to North Dakota to support the Sioux. But anyone can help in other ways. You can give money. You can contribute to the Sacred Stone Camp Legal Defense Fund or to the Sacred Stone Camp gofundme account. You can give time by making phone calls. Call North Dakota governor Jack Dalrymple at 701-328-2200 and politely share your opinion, or call the White House at 202-456-1111 and politely tell President Obama to rescind the Army Corps of Engineers’ permit for the Dakota Access Pipeline. Please read his entire article on Time.